Life is a journey requiring nearly non-stop communication. Think about who you communicate with on a daily, weekly and monthly basis. Your list might include family, friends, neighbors, people in the community, teammates, supporters, leaders, your customers or ministry target audience, yourself, and God. Sometimes we communicate well, and sometimes we flop. And the results can range from experiencing strong, healthy relationships and effective teamwork to broken relationships and failed ministries. So what are some of the key factors (or principles) that lead to effective communication? What do you know about the knowledge, experience, interests, and needs of the people you are trying to communicate to? Put yourself in the shoes of your audience. Is what you’re telling them new to them? Does it interest them? Does it relate to them? Does it help meet a felt need of theirs in any particular way? The more ‘Yes’ answers you can give to those questions, the more likely your audience will be interested and engaged with your message. Each of your communication messages needs to be uniquely tailored to the person or audience you are communicating with, according to their knowledge, interests, level of influence, and needs. Why do you want to communicate with this person or group? Obviously you must have a message that you want to convey to them. But why? What are you hoping to accomplish by communicating with them? Make sure that purpose is clear both to you and to the people you are communicating with. Otherwise, people may not see the value in paying attention to your message. People are busy. And in today’s world, people tend to have very short attention spans. Before you open your mouth to speak, or start typing that next email or text message, make sure you take time to think about how you can communicate your message clearly and concisely. Sometimes people only give you one shot at communicating your message to them, so make it count by making it short and clear! What questions might people have as they hear or read your communication? What might they not understand? What concerns might they have? Do your best to anticipate these questions and concerns and answer them within your message to them. When people have unanswered questions and concerns, they are likely to withhold their attention, time or support. Don’t overwhelm people with too much information. Try to give them the information that they need NOW, in bite size chunks that they can realistically listen to (or read) and remember. While it is definitely helpful to give people the big picture vision of your overall message, try to give them only the necessary details that they need at the time. Too many details can cause people to get frustrated and mentally check out. Allow for Multiple Learning Styles. People learn in different ways. Some people need to SEE things to remember them, some people need to HEAR a message, and some people need to actually DO what you’re talking about in order to fully understand it. This can be referred to as Visual, Auditory or Kinesthetic learning styles. It is extremely helpful to try to incorporate all three of these learning styles into your communication messages, whenever possible. Let people see the message (in words and in pictures), let them listen to the message, and try to give them an opportunity to actually do what you’re talking about. Research shows that people remember things much better if they have had a chance to see, hear and do it. What’s your preferred way of communicating? 1-on-1 talking? Phone calls? In meetings? Email? Texting? Facebook? Those are examples of different communication channels. Guess what? Your preferred way of communicating is much less important than what your audience’s preferred way of communicating is! Chances are, you need to communicate many of your messages using multiple communication channels. Yes, it takes more time. But you’re also much more likely to successfully get your message across. Never assume that you only have to communicate a message once. In reality, people tend to need to hear a message multiple times before they truly hear and remember it. Don’t let that frustrate you. Just plan to communicate important messages multiple times in different ways. Ask questions and encourage feedback from people. What did they understand? What questions, concerns or suggestions do they have? The more you know about how well your communication was received, the better chance you have to improve your communication in the future – and the better you can tailor your communications to the needs of your audience. 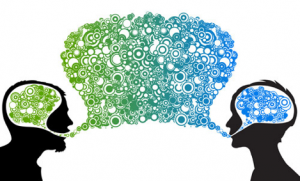 Which of these communication principles are your strengths? Which are your weaknesses? Pick ONE of these principles to improve on today. What specifically will you do differently?